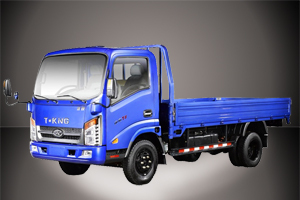 T-KING ZB1050TPIS Light Truck (Diesel Engine) has a carrying load of 5 tons. It is produced and manufactured according to GB17691-2005 (National) Ⅲ and GB3847-2005. It has a chassis wheel-base of 3900 mm, 6 wheels and 2 axles. Its front row can contain 3 passengers. 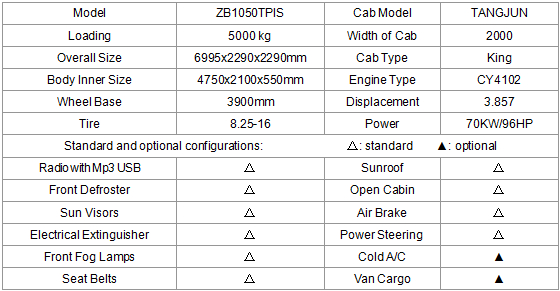 ZB1050TPIS Light Truck (Diesel Engine) can be equipped with an air-conditioner and a cargo body, with a maximum speed of 90 km/h.